Picture courtesy of the Bernie Sanders campaign. defeated Secretary Hillary Clinton on Tuesday night in Michigan’s Presidential Primary. Yet, Clinton will get more delegates from Michigan because thirteen of Michigan’s twenty superdelegates committed to Clinton before the voters of Michigan cast a single vote. Superdelegates that already committed to Clinton include Congressman Dan Kildee and Sandy Levin and Senators Debbie Stabenow and Gary Peters. Michigan superdelegates would be wise to back Sanders now for three pretty simple reasons. For one, nothing makes voters believe their votes don’t matter more than having the winning candidate basically lose. While Sanders will get a few more pledged delegates than Clinton thanks to actual voters, Clinton’s superdelegates will essentially give her a win in Michigan. Turning off voters in March might cost Democrats in November. 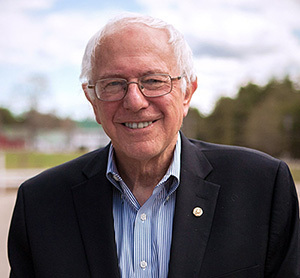 Second, Senator Sanders is winning battle ground states like Michigan and Minnesota, States that Democrats need to win in November to win the election. Secretary Clinton is winning a lot of southern states like Mississippi and Texas which will not be won by Democrats in November. In essence, it makes a lot more sense to back the candidate with the motivated voters in the states you can actually win in the general election. Plus, Sanders polls better against Donald Trump, the likely Republican nominee. Finally, many of the superdelegates may find themselves in hot water in their next election should they screw Michigan voters. It’s doubtful our Senators would get hurt badly, Senators are almost untouchable. However, people like Democratic Chair Brandon Dillon and Oakland County Commissioner Nancy Quarles could be vulnerable in their present positions. It would be unfortunate if the superdelgates caused a civil war inside the Michigan Democratic party. We know how that has played out for the Republicans nationally. Michigan voters have spoken. We do not need our votes overturned by a patriarchal establishment vote of superdelegates. If you voted for Sanders, it might be time now to make a call or send an email to anyone of the Michigan’s superdelegates that are listed below. If they don’t respect our votes, remember that the next time you see them asking for your support or your money. ‘GMO-Friendly’ Stabenow Introduces Federal Urban Farming Bill, But Should We Trust It?